How do the Bulgarians heat their homes? At the end of 2015 was registered a new increase in the share of households in the country, having passenger cars, compared to the previous year, and the increase is about 2 percentage points. The data in dynamics indicate that compared to five years ago, the increase was significant - if in 2010 just over half of households have used car, now analogous share is six-tenths of all, and this is an increase of over 7 percentage points or 14%. 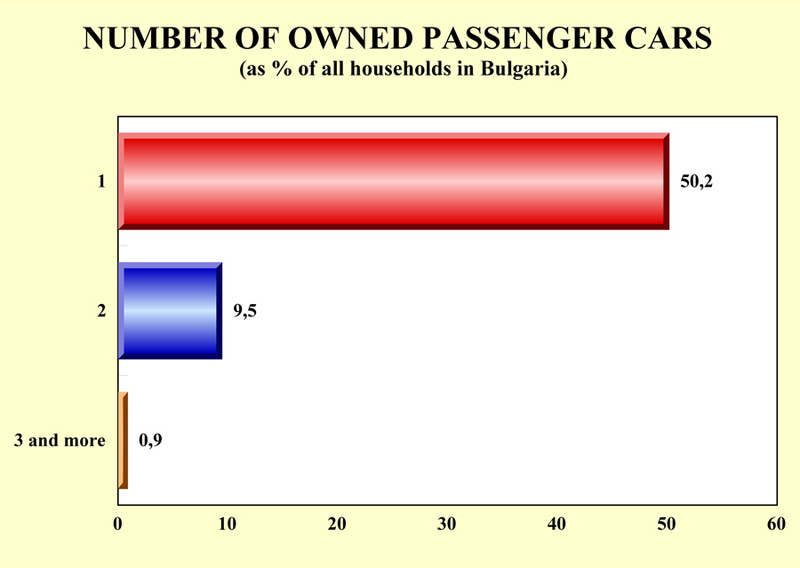 In fact, this is the historical maximum of saturation of Bulgarian households with cars far for the first time ever, the share of households with a car passes the limit of 60%. At the end of 2015 one car have half the households in the country, and one in ten households owns two cars. Very low - around 1%, is the share of those who can boast owning three or more cars.